This unique 18K gold pendant has a wonderful 0.65 Ct emerald cut emerald with a gorgeous dark green tone, good saturation and moderately included clarity. 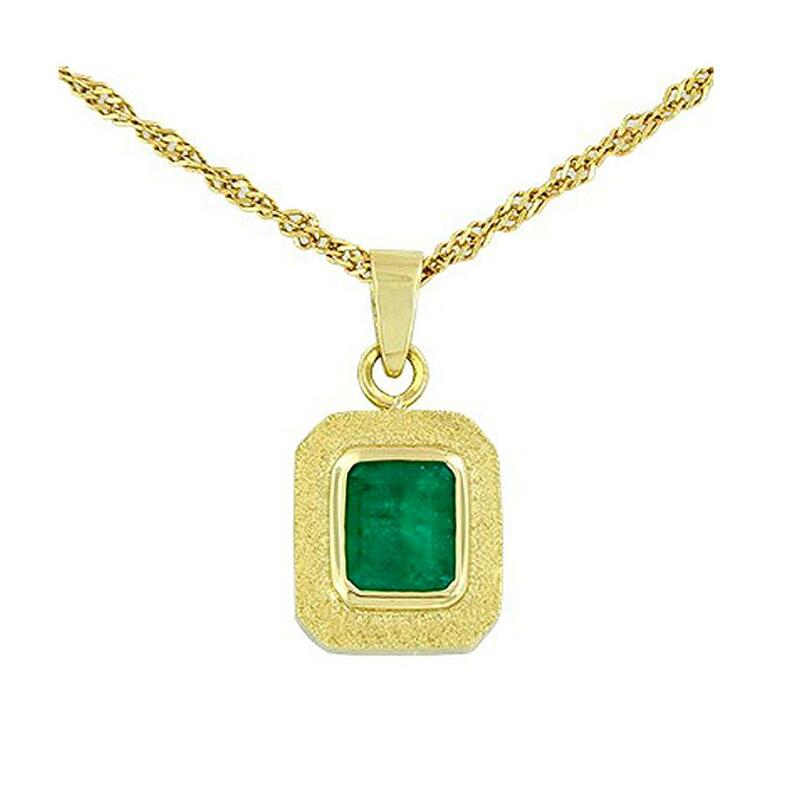 The emerald is surrounded by a high polished bezel that creates a shiny frame for the stone. 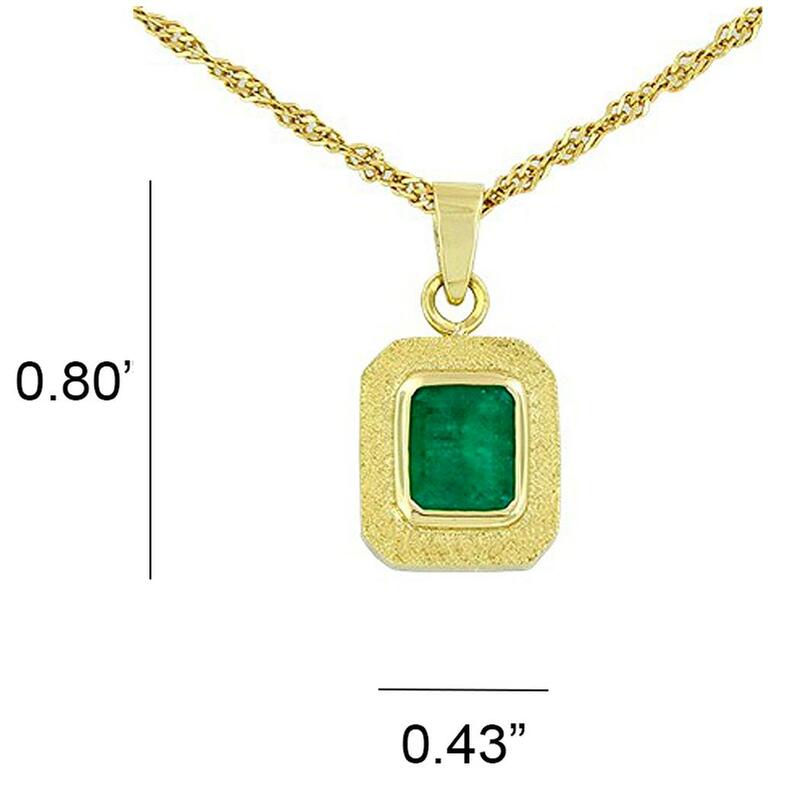 At a lower level comes a wider bezel with a rough texture and very rich look creating a fantastic background for the center part of the pendant. 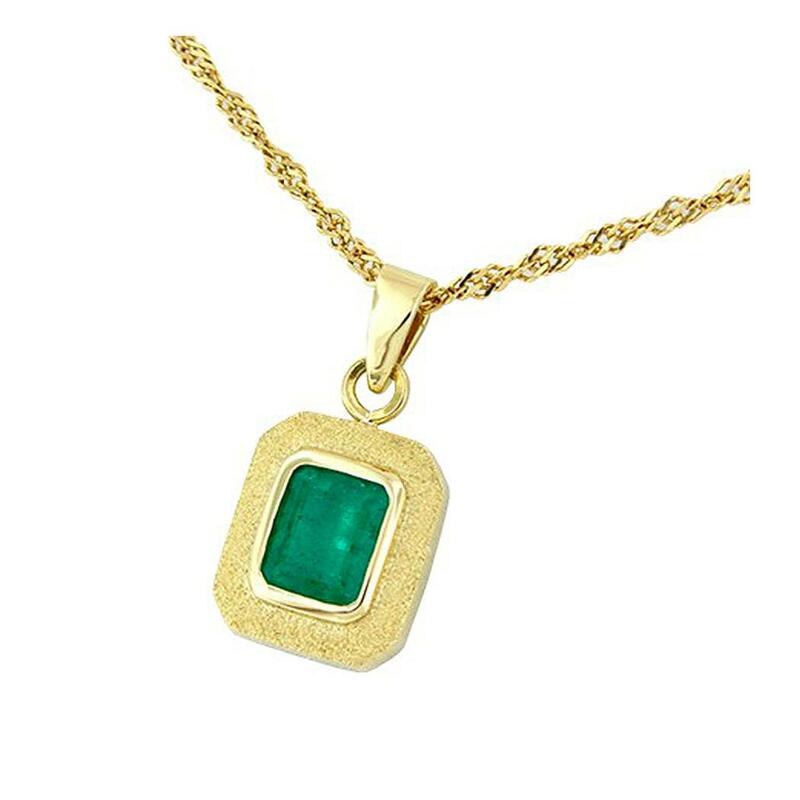 This combination of colors and textures makes an intriguing and exotic look for this jewelry piece. 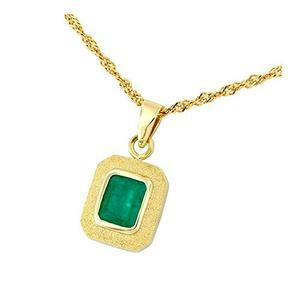 This wonderful emerald pendant is also available in white gold. Let us know if you like to add an 18K gold chain at the More Choices menu below.